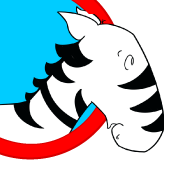 Roy the zebra is a free resource that’s all about supporting emerging readers with their literacy skills, it’s used at schools and at home. This site is a great introduction to the kind of content you’ll find on our membership site Club Roy. This site is home to an engaging range of reading games, an exciting guided reading story, lesson plans, printable resources and even songs - it’s totally free for you to use, all that we ask is that you register with us so that you can receive occasional updates via email. Roy is aimed at 5 to 7 year-olds. It’s often used as a tool to support readers who aren’t progressing as expected - giving these readers an interesting and different resource builds their reading confidence and helps to establish an early ‘love for reading’. If you like the content on this free site then consider becoming a member of Club Roy. Tale of a Singing Zebra is about Roy the zebra, he lives in the worst zoo in the world, locked up next door to his best friend Lucy the elephant. They dream of the wild. When George visits the zoo, he’s sad for Roy and he thinks how he can help. The nine mini-chapter story is an exciting, humorous and daring tale of Roy’s escape and his adventures with George in search of the herd. Each chapter comes with before and after discussion sheets, optional narration, as-well-as a printable reading certificate and is iPad compatible. Roy and George return in Operation Rescue Lucy, the mission to return Lucy to the wild. You can read it at Club Roy. You’ll find a wide variety of iPad compatible reading games, from full stops and capital letters through to using singular and plural words. All the games use the fun characters from the Roy stories; they’re quick to access, easy to play, engage with your early readers and come with a lesson plan. Club Roy is our membership site. It has 149 reading games over 13 different topics and 16 game themes, Operation Rescue Lucy guided reading story plus more than 700 printable resources and is advert free. 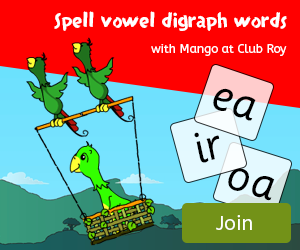 Club Roy aims to be an affordable resource to complement school reading systems and can be used at home as well. Passionate about literacy, illustrator, writer and coder. The creator of Roy the zebra. Creative, exceptional coder, and trained teacher. Early years teacher for more than 40 years, advisor for game content, writer of engaging lesson plans plus design of printable resources. Here are some testimonials made by teachers via our surveys. Tim’s business Fort Marketing created the website. Find out more at Fort Marketing.